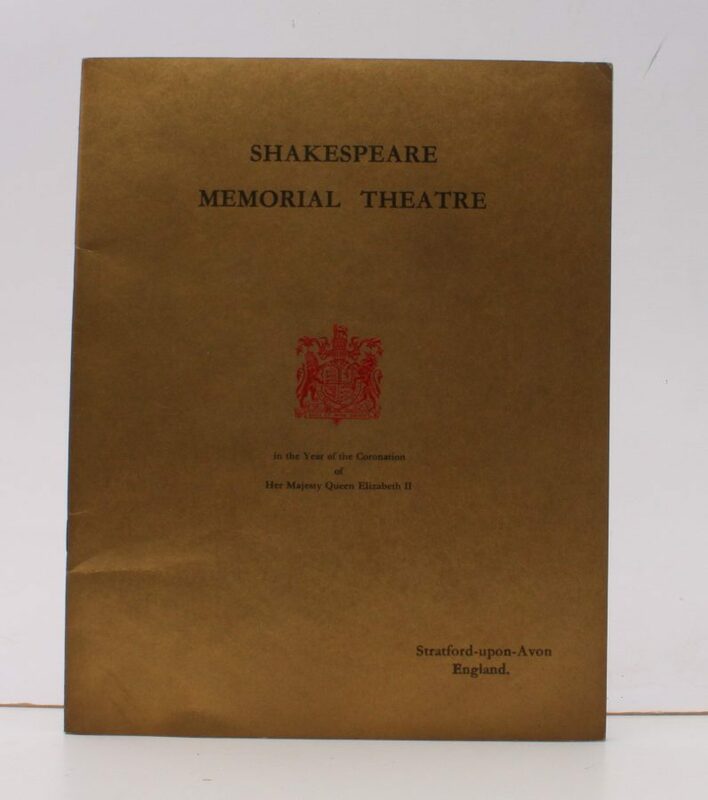 View books by this author SHAKESPEARE MEMORIAL THEATRE. Roy. 4to., First Edition, with coloured and monochrome photographs throughout; pictorial wrappers, wire-stitched as issued, a near fine copy. Productions include The Merchant of Venice, Richard III, Antony and Cleopatra, The Taming of the Shrew, King Lear. Cast includes Ashcroft, Michae Redgrave, Goring, Mitchell, Andrews, Kempson. LOOSELY INSERTED is a printed pedigree of the Houses of York and Lancaster.